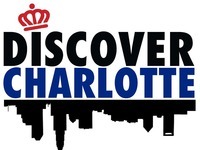 “Discover Charlotte” is an in-depth exploration & identification of the history and culture of Charlotte, NC. Discover Charlotte will be interviewing “Bring Back the Buzz”‘s Scotty Kent along with the We…Beelieve”‘s John Morgan tonight at 7pm as part of a documentary that will be taking an deep look into Charlotte and what makes it unique. Click on the link below to watch the video that explains the Documentary. ← Potential Charlotte Hornets Rebrand Concept!